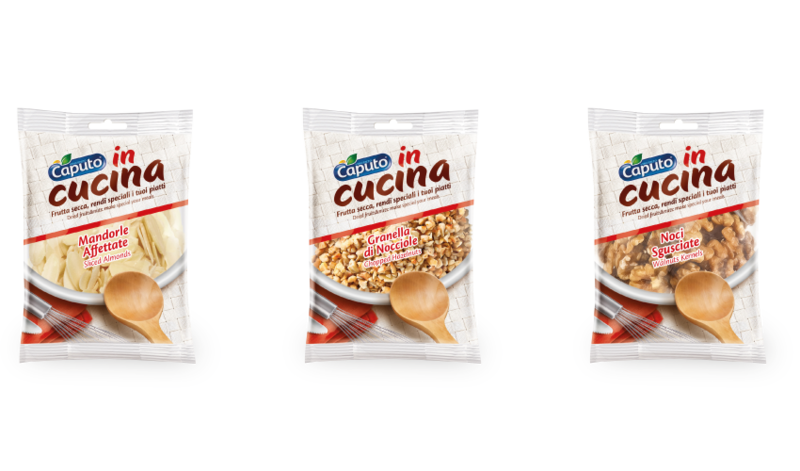 A careful selection that leads to unsurpassed quality: our products aim to satisfy any kind of need concerning taste, ranging from snacks to shelled, culinary, bakery and special products, whose quality is certified. 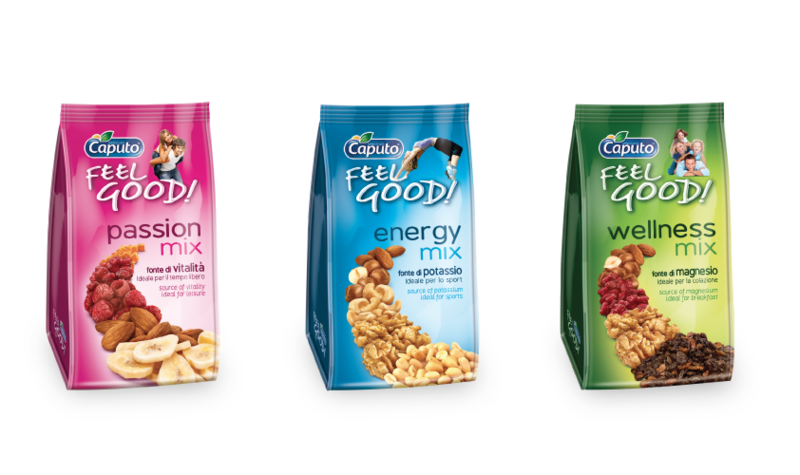 This is how Caputo can satisfy any kind of need concerning taste! 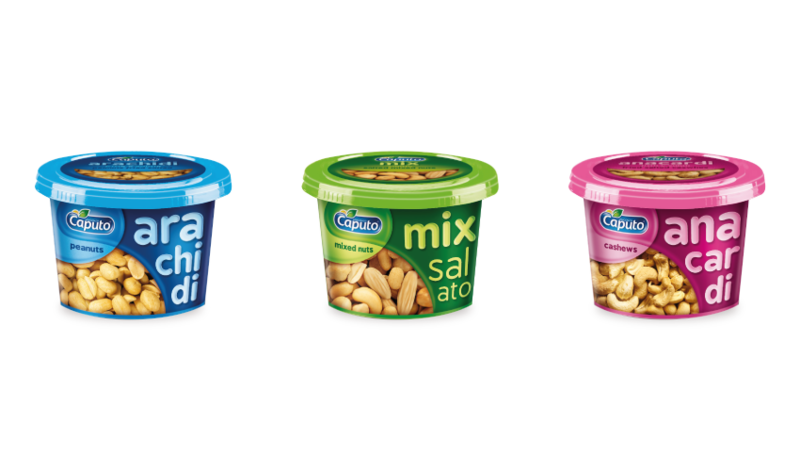 Con la nuova linea a marchio Caputo tutto il mondo della frutta secca e dello snack prende vita! Festaioli, Coralizzati, Senza Veli, Morbidolci e Abbronzati saranno gli amici fidati di ogni tua avventura! 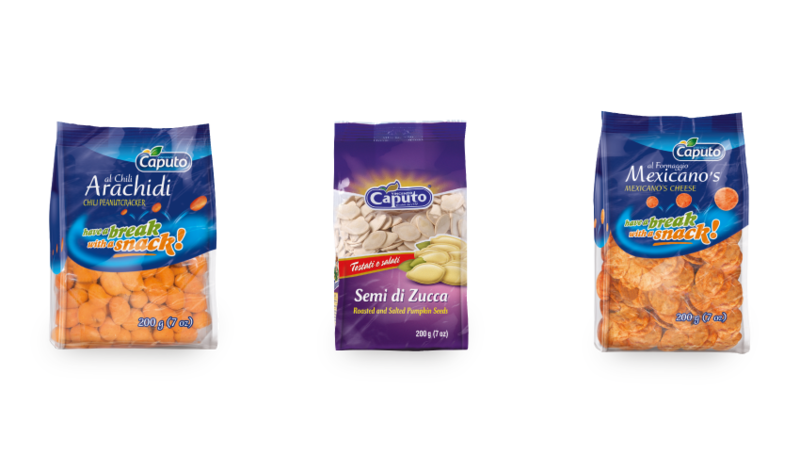 In order to celebrate our eating traditions and habits, Caputo has chosen those products that can retain the fruit’s real fragrance. 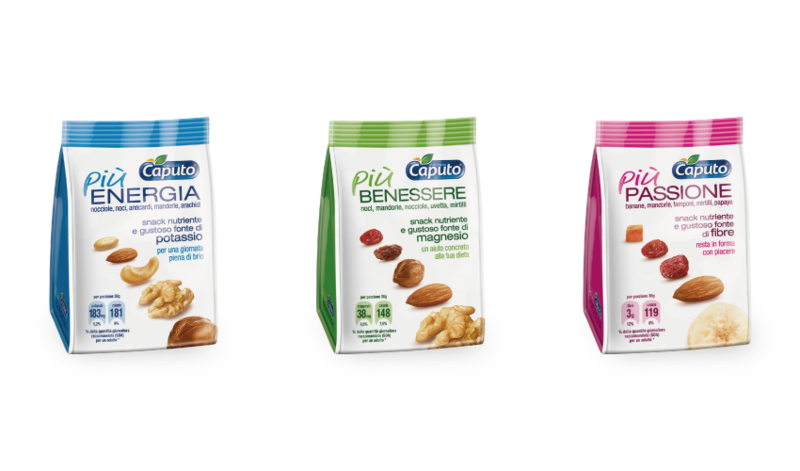 A selection of golden and crunchy dried fruit with a persistent scent that is able to inebriate anyone just at the thought of it…this is Caputo’s roasted product line! 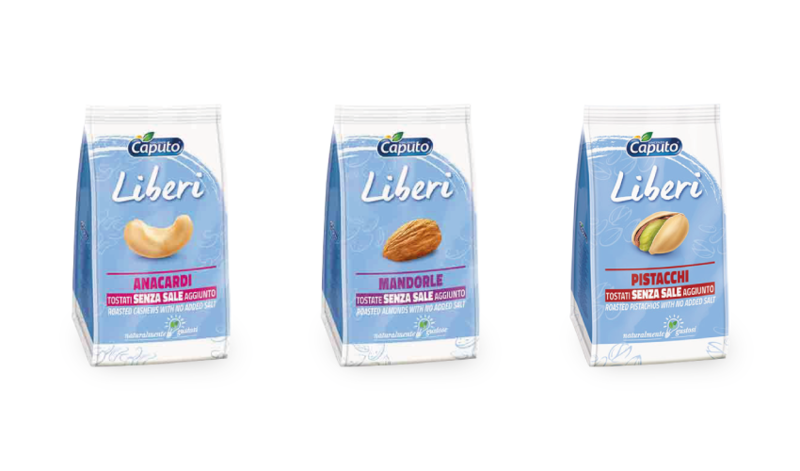 Thanks to i Liberi, Roasted Nuts with no added salt, you can to have a healthy lifestyle! Only roasted fruit with no added salt, to taste with no regrets. 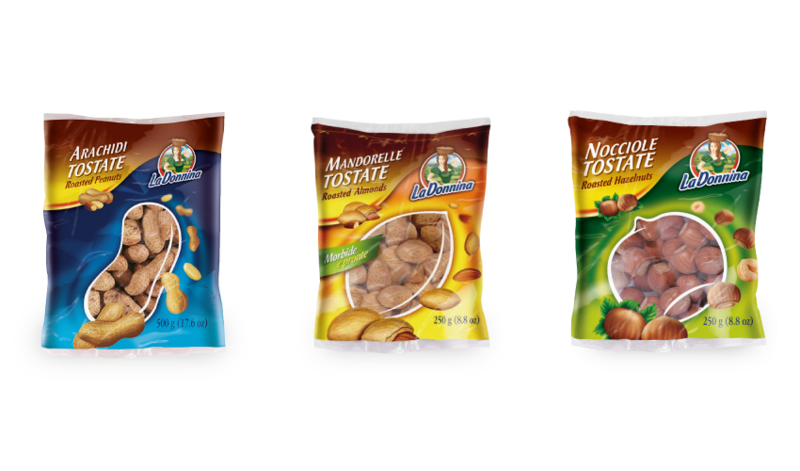 Caputo’s shelled products are simple and natural! Without their shell, they lay bare the fruit’s true essence. 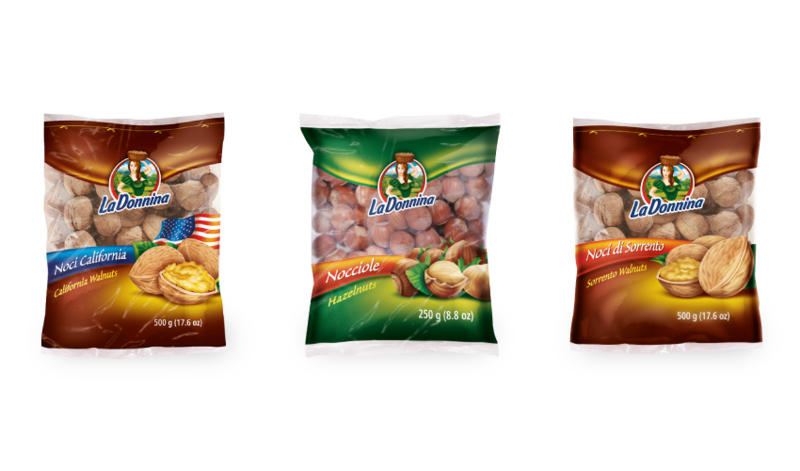 The taste of snacks for the whole family is all contained in a convenient resealable bag: pistachios, salty mix, peanuts and cashews! For your moments of escapism, salty snacks are a selection of aperitif products with a mouth-watering and appetizing flavour! 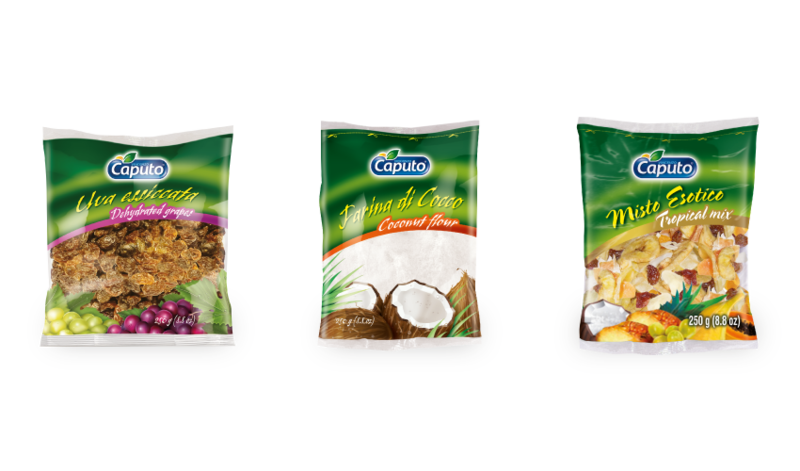 Caputo’s dehydrated fruit is a selection of tender products that are able to sweeten any moment of your day. 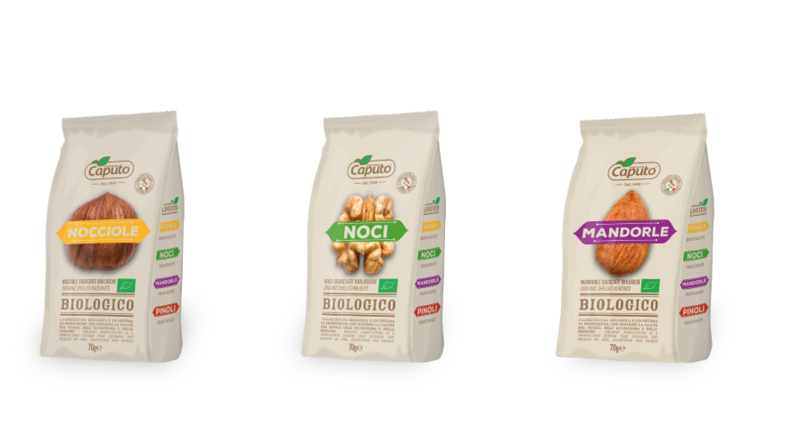 The product line Organic Caputo is part of an ambitious project based on the production and commercialisation of organic products like walnuts, hazelnuts, almonds, pine nuts…and more to come! 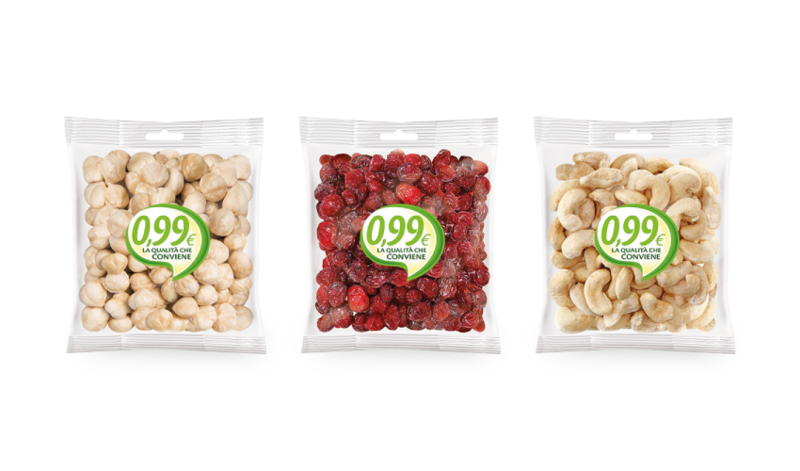 The best that the world of dried fruit can offer can be found in Gold Selection, the premium product line encompassing high quality products due to their certifications and specific origins. 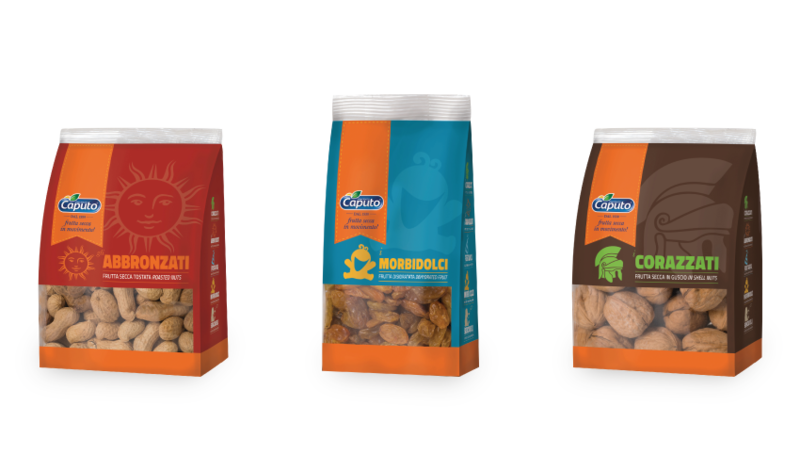 The product line that offers you the best Italian dried fruit, which is selected in every region. Thanks to Che Bella Italia, you can definitely experience the best flavours and taste of Italy. There’s a specific time during the day when you have to sit and take a break. 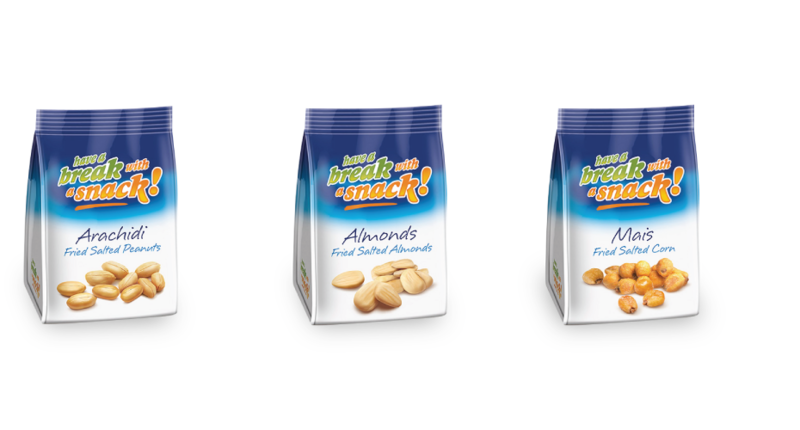 The Have a Break snacks are perfect if you want something pleasing to eat. 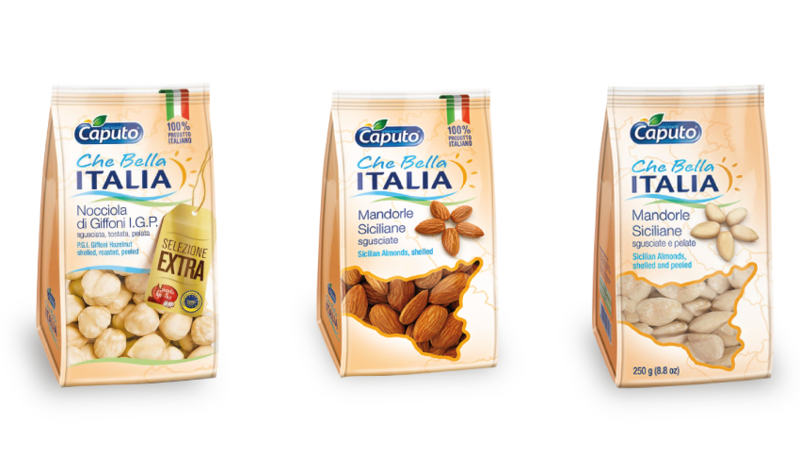 Nutritious e tasty, Caputo Più is also the concrete help to your diet. Rich of vitamins, it is the dose of wellness recommended by the doctors. 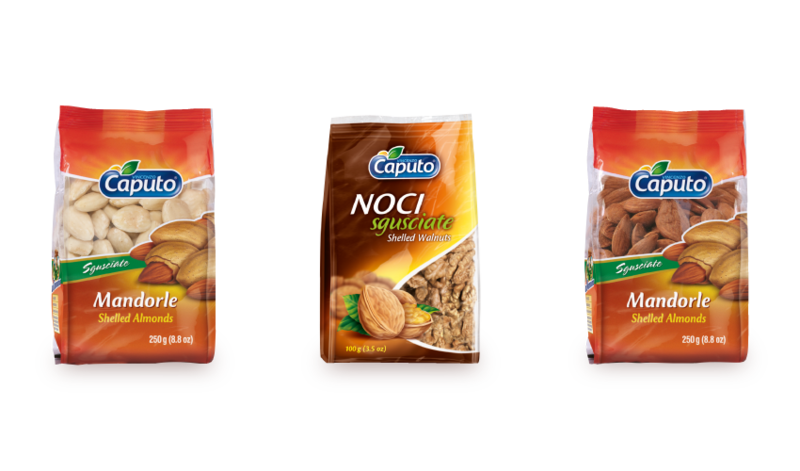 The dried fruit of Caputo in Cucina is a key ingredient in the creation of original and tasty recipes. Ben Family is made of Mister Ben, Miss Ben and Baby Ben. 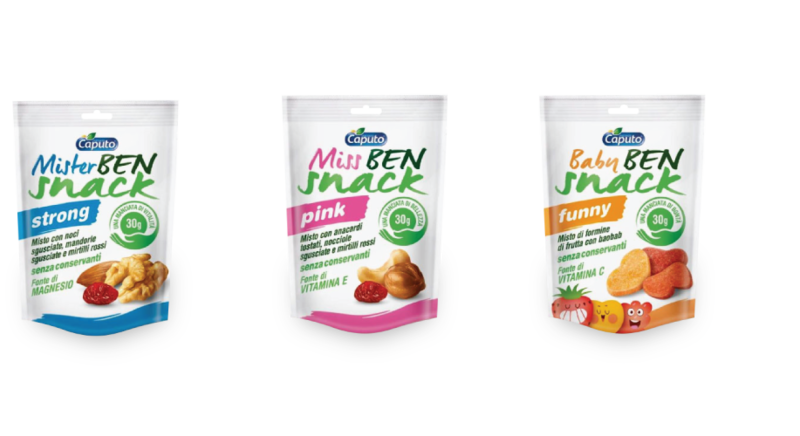 A nice serving of 30g, the daily ration of dried and dehydrated fruit advised by the experts and suitable for the whole family: for him, for her and for the baby. It’s the product line of wellness, the perfect mix for any kind of wish. of view!Ora Frutta is the snack whenever and wherever you want ! Your “out of season” fruit without preservatives and no added sugar. 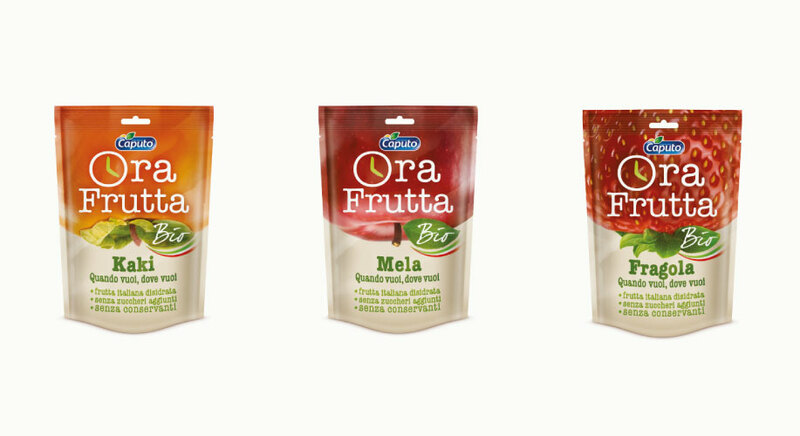 Ora Frutta is dehydrated, organic and coming from Italian cultivations. Absolutely a new way to look at the fruit!